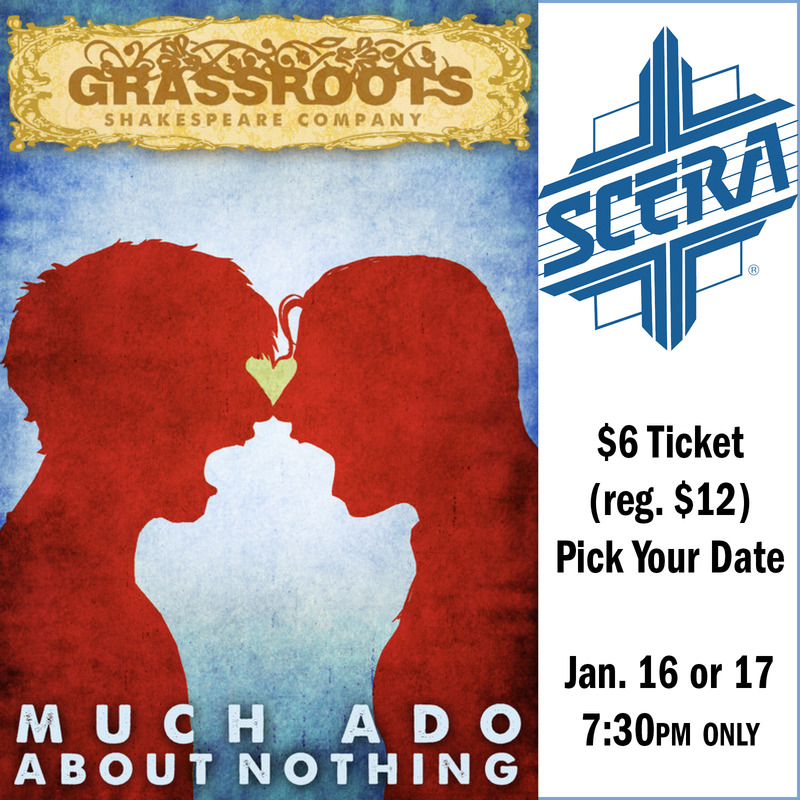 SCERA Center for the Arts presents this rare opportunity to see Grassroots Shakespeare indoors! William Shakespeare’s classic comedy of romance & mischief is about Benedick and Beatrice, who are tricked into confessing their love for each other, and Claudio who is tricked into rejecting Hero at the altar on the erroneous belief that she has been unfaithful. As with all “rom coms,” Shakespeare made sure this romantic comedy has a happy ending, as Benedick and Beatrice join forces to set things right, and celebratory dancing ensues! Much Ado About Nothing is presented by the incredible Grassroots Shakespeare Company, who create joyous, vibrant productions inspired by Shakespeare’s original staging techniques. The collaborative touring ensemble presents the Bard’s works as intimate shows where the audience is encouraged to participate in the story and the actors react and respond, making the play an immersive and accessible theatrical experience while staying true to Shakespeare’s beautiful language and witty story.